I have been unwell and have to take medication; therefore, I will miss some rozas. I am not working and have no savings of my own. Only my husband is working and has savings, so he will be paying for my missed rozas. He has said that Islam says I should pay the money back to him if I should earn money or receive money because I am suppose to pay from my own pocket but as I only receive money from him to do the shopping and have no other access to money, I am unable to do so. Should I in the future gain money, will I have to pay him back for the cost of my missed roza? 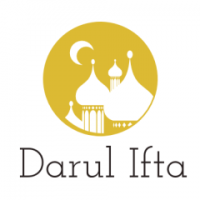 Regarding your question, in the Hanafi Fiqh it is said that every male and female are responsible individually themselves for their Zakat, Sadqatul Fitr and Qurbani. (See Fatawa Darul Uloom Deoband p.120 v.6) The same ruling also applies for fidyah. Hence, if your husband pays the fidyah on your behalf and he demands for the money to be repaid back to him, then it will be necessary for you to give it to him.